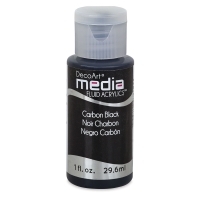 No matter your skill level, DecoArt Media Fluid Acrylics are formulated to deliver excellent performance at an affordable price. 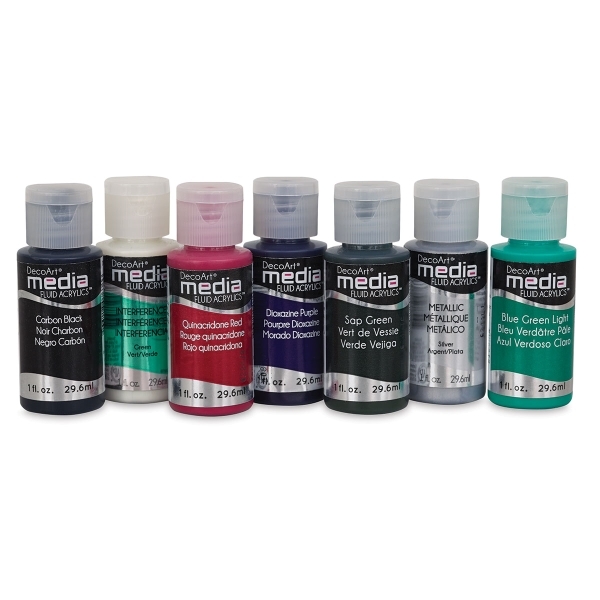 These fluid acrylics are permanent and flexible with superior adhesion, and they blend wonderfully. 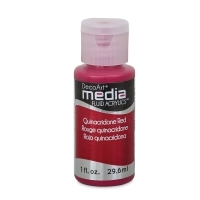 Their high pigment load ensures that color washes and glazes are strong and vibrant. No fillers or matting agents are added, so colors remain clear and intense. The durable colors are intermixable and have excellent tinting strength. They dry to a satin finish. 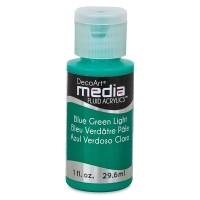 Use DecoArt Media Fluid Acrylics on their own or mix them with mediums to create various textures and unique effects. 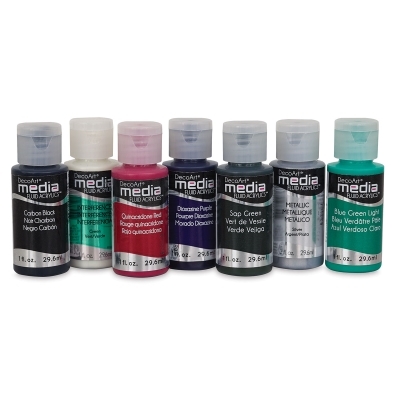 Waterbased and non-toxic, these fluid acrylics are quick and easy to clean up. 1 oz (29.6 ml) bottles. Made in the USA. 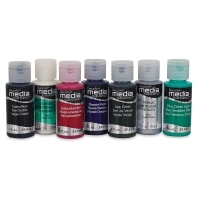 Metallic Colors — These acrylics are highly loaded with pigment, making them ideal for mixing. 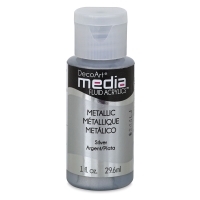 Mix them with regular Fluid Acrylic colors to create limitless custom metallic colors. Interference Colors — These six translucent colors shift in color and appearance depending on the light, viewing angle, and color of the surface on which they are applied. When applied over a dark color, you'll see more opalescent color and less of the color shift. When applied over a light color, you'll see a sheer opalescent color but more of the color shift. 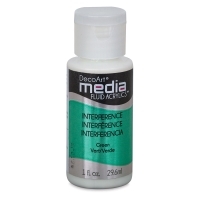 Thin applications in a wash or glaze increase the visual interference effects.